has become a beloved Christmas tradition — and a vital outreach for many left behind by the nation’s economic recovery. 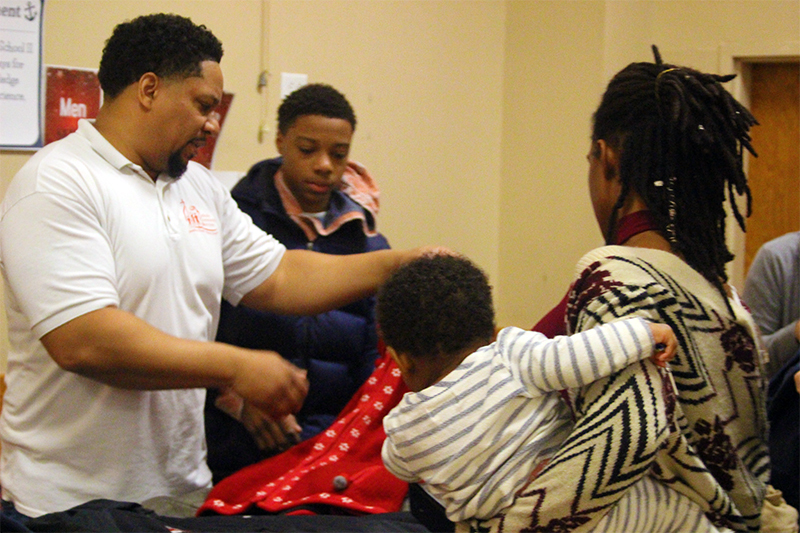 Now in its fifth year, Operation Bundle Up drew 385 area families to St. William Parish in Philadelphia on Dec. 1. 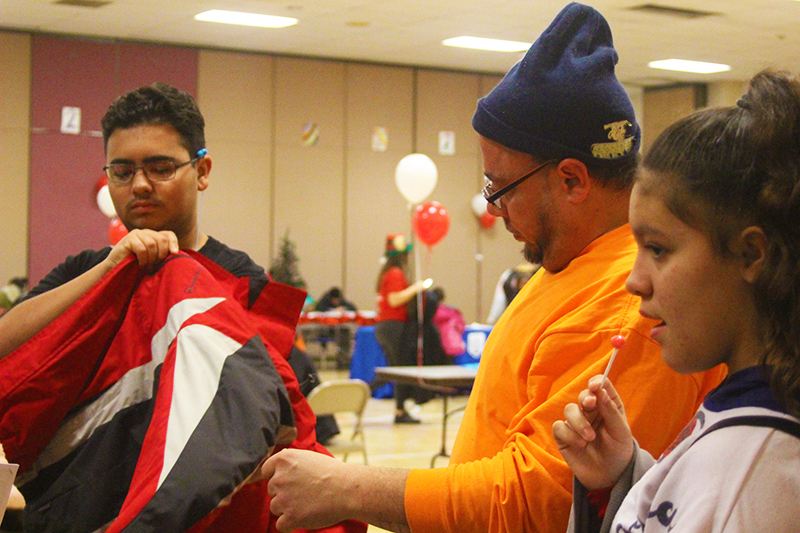 During the four-hour event, some 850 winter coats were distributed by staff and volunteers from Catholic Community Services (CCS), a CSS youth services agency based in Northeast Philadelphia. The number of attendees and donations was up from last year’s by approximately 9 percent. According to the U.S. Census Bureau’s 2017 annual report, which was released in September 2018, the national poverty rate remains at 12.3 percent, about where it was in 1970. The bureau’s supplemental poverty measure, generally regarded as a more accurate metric, puts the rate at 13.9 percent. With the cost of a child’s coat averaging roughly $40 to $60, winter outerwear can take an icy bite out of household budgets, particularly when parents are shopping for multiple and rapidly growing kids. A mother of two, Lawrence has attended CCS’s giveaway for the past three years. “It’s really been helping,” she said. CCS collected the coats from a variety of partners, including the Auto Dealers CARing for Kids Foundation, which donated 100 jackets; staff from the offices of Philadelphia Councilman Bobby Henon and Pennsylvania state Rep. Martina White; area merchants, civic leaders, members of the Zeta Phi Beta sorority and Archdiocese of Philadelphia employees. The giveaway also enabled CCS to provide attendees with information regarding benefits and services offered through agencies such as CSS, the Philadelphia Gas Works, Community College of Philadelphia, Independence Blue Cross, Job Corps, the U.S. Department of Agriculture’s Food and Nutrition Service and Temple University’s Institute on Disabilities. Joan Nelson, a trainer with the Temple University Institute on Disabilities, said that the CCS event helped her team’s efforts to assist those coping with a range of physical and developmental challenges. Kids at the event had their own chance to be heard, thanks to a “letters to Santa” writing activity the CCS team added to this year’s giveaway. Noting that such messages often reveal poignant and thought-provoking insights, Rodriguez added that some responses will be anonymously shared on CCS’s social media accounts. Music, raffles and food rounded out the giveaway, which was designed to warm both body and soul by bringing the community together for “a festive and informative time,” said Smith. Matthew Heffner of Philadelphia, who attended the event with his niece and nephew, said Operation Bundle Up is an example of Pope Francis’ repeated call to promote unity within families, society and the church.